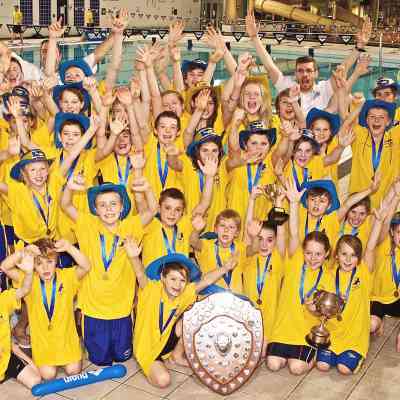 Age Group and Senior/​Junior teams rack up a total of 89 medals at the ASA North East Region Championships. An out­stand­ing dis­play of team spir­it, com­pet­i­tive swim­ming and a will to win saw our Junior League Squad to vic­to­ry in the ARE­NA Junior Inter-League Grand Final last Sunday. The 100m breast­stroke cham­pi­on from the 1980 Moscow Olympics was in the city to pro­vide a coach­ing ses­sion to a group of City of Leeds youngsters. 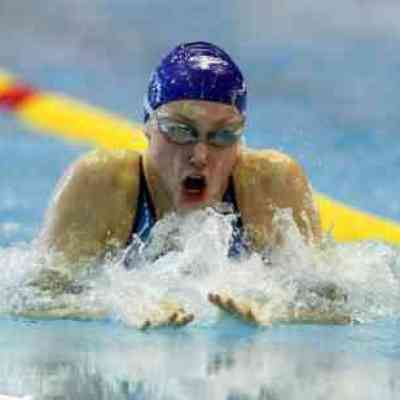 16-year-old Sophie Tay­lor wins 2 sil­vers and a bronze medal at the Euro­pean Junior Cham­pi­onships in Antwerp, Belgium. We urge all par­ents to read the fol­low­ing notice regard­ing pool­side pass­es at swim­ming meets. City of Leeds swim­mers dom­i­nate the medal table and make 154 appear­ances in finals at the ASA North East Region­al Championships. At the recent British Cham­pi­onships, Claire qual­i­fied for her third Par­a­lympic Games while Sophie Tay­lor will rep­re­sent Team GB at this summer’s Euro­pean Junior Championships. More out­stand­ing per­for­mances at the sec­ond week­end of the 2012 York­shire Coun­ty Cham­pi­onships at the John Charles Centre.